I am so fed up with my pulls ever since the Final Fantasy Brave Exvius Halloween units banner. I think playing gacha games is not my thing because luck is not on my side. I keep on getting useless pulls, especially blue and gold crystal units that are totally worthless. I swear that after FFBE, I will not play gacha games EVER AGAIN. 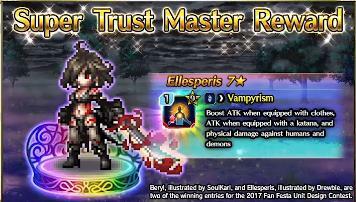 This friday, Fan Festa unit winners are out in the featured summon. 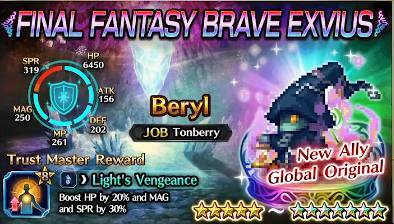 Get a guaranteed unit (Beryl or Ellesperis) for each 25,000 lapis summon.